Hunts are available starting the first monday in September and continuing into April. Hunting is Monday through Saturday and start times are based on your hunting party needs. Exact dates and times can be adjusted to meet your specific schedule and reservations are required to insure space. HUNT PACKAGES We prefer to arrange a package that fits your individual needs. We develop each package based on the cost of services shown on this page. You can determine your estimated cost by simply determining what services you need for your hunt. 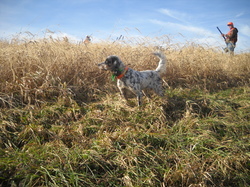 We offer guided hunts for clients without dogs or unguided hunts for hunters with their own dogs. Hunts can be scheduled for half day, full day, overnight hunt where you lodge with us and hunt the next day, and continental or driven hunts. We provide many additional services that can be added to any hunt. 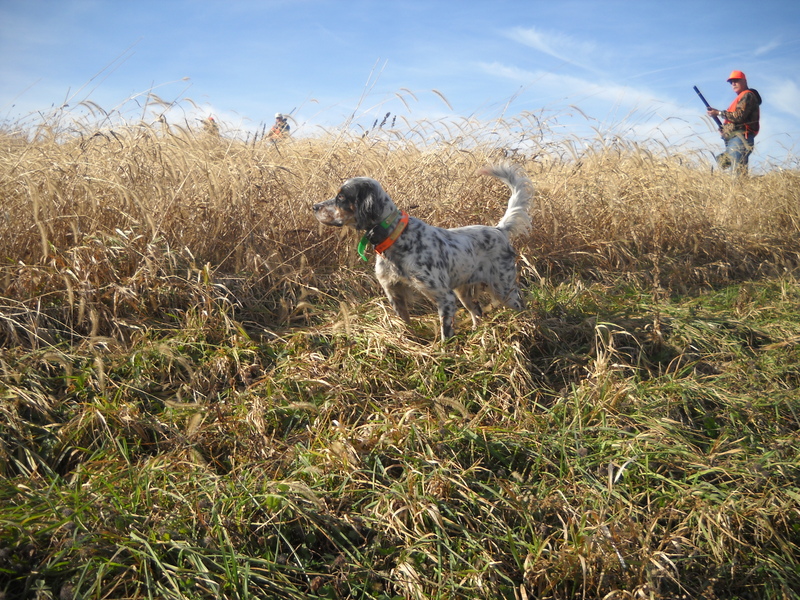 Bird cleaning and packaging, adding a dog and guide to an unguided hunt, lunch or dinner, hunting equipment, lodging, special needs equipment, or any other service that you can think of can be provided by simply asking. Call 724-317-6729 to make specific arrangement for a hunt that meets your individual needs or price range. NO PA. HUNTING LICENSE IS REQUIRED. 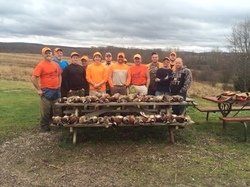 All hunters under 18 must be accompanied by a responsible adult of 21 years of age or older. Each hunter must have 250 sq. in. of hunter orange combined on their head and chest. Maximum bore size is 12 gauge and shell and shot size is to be limited to 2-3/4 " #5. All hunters will be asked and must sign a liability release form prior to hunting. Safe handling of firearms must be practiced at all times and no alcohol is permitted before hunting. Hunt pricing can generally be estimated by adding up the services to be provided. The following prices may vary depending on the time of the season and availability of birds. We can provide additional equipment or design a large package for you upon request. If you do not see a service or have a special request for your hunt, please don't hesitate to ask when you contact us.